At AMATIC we are a family-owned and managed company. We look to bring consistent solutions to our customers and do not look at short-term quarter-based gains. That is the advantage we have being a private company. Our market is extremely competitive and I believe technology has a bigger effect on our business than many others. But coming back to your question, we are pleased with our business results and are confident that we have a business model that promises long-term success. We create our own games and began from day one with the focus on MULTI GAME. Our latest gaming cabinets – the Performer Grand Arc (PGA) and the Amarox C24 have touched the nerve of the present time in their design. We have great experience in electronic roulette. Furthermore, we have continued to build our business in the online gaming market and have seen strong growth for our AMANET games. What in your opinion have been amongst the most impressive features of the Performer Grand Arc that has made it so popular with players? I would say it is the right mix of classic AMATIC hardware with the popular MULTI GAME choice. It is all about getting the balance right between the two. That is our focus. We work very closely with our customers throughout the globe. We analyse the market to see what features players are looking for that are not yet available. This led to the creation of the PGA. Players want to feel comfortable. A gaming machine is not just a cabinet to provide games. It has to fulfill several requirements – for example with the right payment systems and the right jurisdictional approvals. Yet a gaming machine can awaken emotions that can literally draw in the player. This is something that is very hard to measure and requires much experience and knowledge of our industry. This is for sure a real strength of AMATIC. What are the main features AMAROX 24 that make it unique? The AMAROX C24 was inspired by the success of its bigger brother, the PGA. Here again we looked to introduce a new design to the upright cabinet sector. We brought together a number of factors that linked together make this gaming machine unique. This includes its ergonomic and player-friendly design, its dimensions, its LED lighting, the layout of the monitors, the push buttons and payment systems and - last but not least - its new and more powerful HARDROX hardware platform. What has been the reaction at exhibitions from visitors to your booth to your latest Roulette Grand Jeu 24HX? Electronic roulette is a major pillar to our business and we have many years of experience and success with our AMATIC Roulette Grand Jeu models. Our latest – the Roulette Grand Jeu 24HX – brings even more technology and security. It is fitted with 24” Full HD PCAP touchscreen monitors and based on the in-house developed powerful HARDROX hardware platform – thus we believe that a great roulette gaming experience is guaranteed. It provides space for up to 8 players around the table. 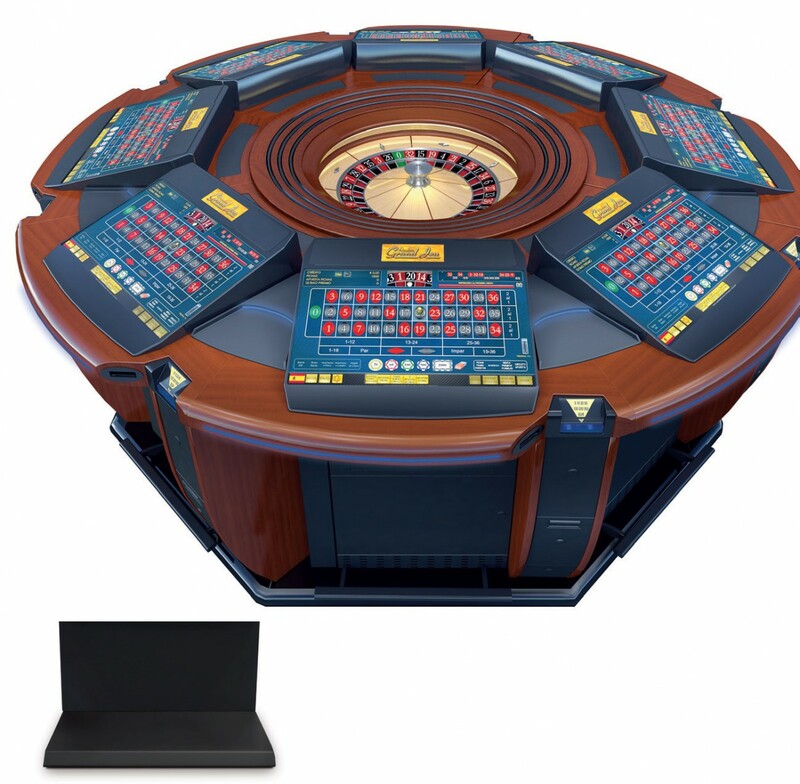 Furthermore it can be connected with numerous terminals and slot cabinets to allow many more players to join the live roulette. With its beautiful design, made of the finest materials and incorporating only the best electronic components, the Grand Jeu 24HX is built for 24/7 play. Players often comment on how much they like the design – something that is very important to us. The Roulette Grand Jeu 24HX 8 is available in its traditional mahogany wood style. Operators can also choose a more modern style in exciting colours. Can you explain to our readers the features and benefits from installing the new ‘HARDROX (HX)’ hardware platform in their Casinos and Gaming establishments? HARDROX (HX) is the name of our latest gaming platform. A constantly growing number of games that include more and more graphics in high definition can only be successful if players can instantly access them. There is nothing more frustrating for players to have to wait for a game to load. Speed is the essence here for AMATIC – thanks to its HARDROX platform. The new HARDROX (HX) hardware platform convinces through its enhanced performance, stability and security and makes the game experience even greater. Can you tell us about the recently launched AMANET video slots into its online casino platform? AMANET is our online gaming division that offers a rich and constantly growing portfolio of complete in-house developed online games which all come in HTML5 format. Indeed, the HTML5 technology ensures easy playability on all platforms without any software download requirement. 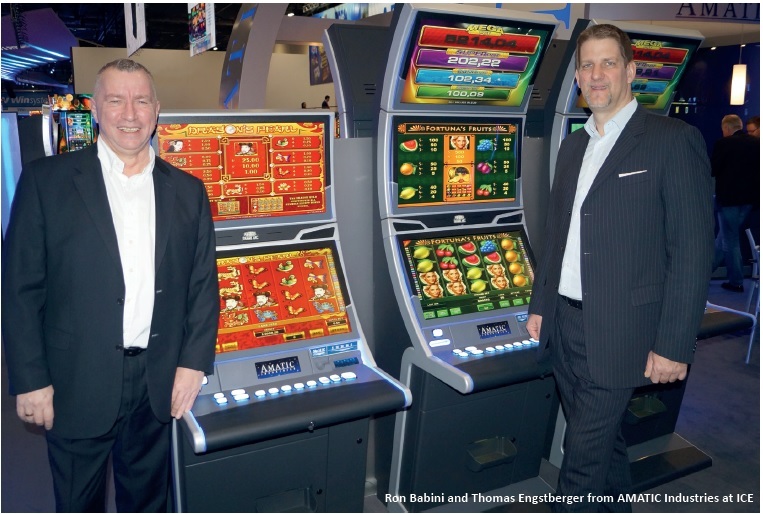 Each game has been successfully tried and tested in the land-based gaming segment before entering the AMANET portfolio. This is our recipe for success in the online gaming market. It is multilingual and approved by multiple jurisdictions. Today, operators can choose from more than 80 online games in the AMANET library, including renowned AMATIC casino slots like ‘Arising Phoenix’, ‘All Ways Fruits’, ‘Bells On Fire’, ‘Billy’s Game’, ‘Enchanted Cleopatra’ or ‘Hot Scatter’, just to name a few. How has business been for AMANET this year? We have seen major growth for AMANET this year with a number of new approvals being granted such as in the UK, Romania and Colombia. Indeed, the number of Online Casinos that have integrated AMANET online games into their portfolio has grown positively in the past 12 months. We have a dual game strategy – offering our popular games from the land-based sector and creating games specifically for the online market. This dual approach has proven to be successful. You recently achieved a new milestone in the history of AMATIC Industries – with the delivery of the 1000th ROULETTE GRAND JEU to the Spanish market, which must have been a very proud achievement for the company? Yes, indeed. My colleague Leopold Öller, who is responsible for the Spanish market, works very closely with our long-standing partner Comatel, based in Valencia. 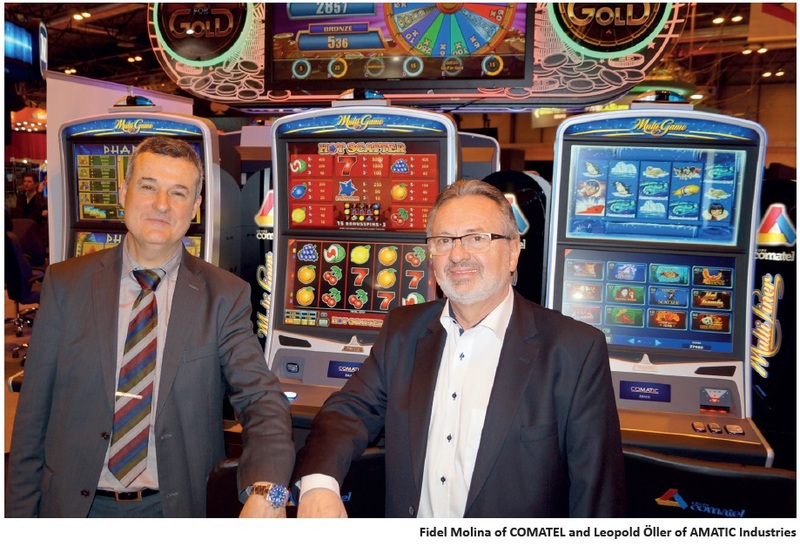 We are very proud of this achievement and this goes to show how popular our electronic roulette is in Spain. How is AMATIC’s MULTI GAME package evolving and can you provide details of the latest new games that have been introduced over the last year? MULTI GAME is the heart of our business and has been our focus since AMATIC was founded 25 years ago. We believe very much in creating all games from scratch by ourselves – then these are true AMATIC games. We are not in the market for brand-led games. We create the games based on our own knowledge and experience and each year we introduce a range of new games – usually between ten and twenty. Thus, our games portfolio continues to grow and our customers can look forward to having new game titles to offer their customers, the players. How is AMATIC perceived in Central and South America? Your timing for this question is perfect as I have just returned from the SAGSE show in Argentina where we were exhibiting with our local partner Oasis Entertainment. We welcomed a number of operators to our stand and were pleased to see and hear that AMATIC is a well-known and respected brand there. This is the case for a number of countries in Latin America and therefore an excellent basis to grow our business there. So I guess you will be travelling quite a bit during the coming months? We place great emphasis in understanding customer needs and matching that with our product range. If you work for AMATIC Industries in sales, then travelling plays an important role. We are an international company and hence we travel on a global basis. What do you plan for the rest of the year? Will you launch any products? We will be visiting the G2E Las Vegas show and then come back to Europe in preparation for exhibiting at the BEGE show in Bulgaria in November. Our focus after that will then be the ICE 2019 as we are working hard to ensure that our latest hardware and software innovations can be released at this show. How do you see the gaming industry today? What changes would you implement to make this industry more efficient? The gaming market today is more varied and available to players than it ever was. There are many types of gaming – from land-based through to online. Local legislation differs not only from country to country but sometimes from region to region. Thus, gaming is becoming increasingly complex and the requirements manufacturers have to fulfill as well. Customer preferences from each gaming segment from around the world have to be taken into account. Legislation often plays a key role for gaming developments. We’d like to see such legal decisions being made on a wider basis – this would remove some of the complexities we are faced with. 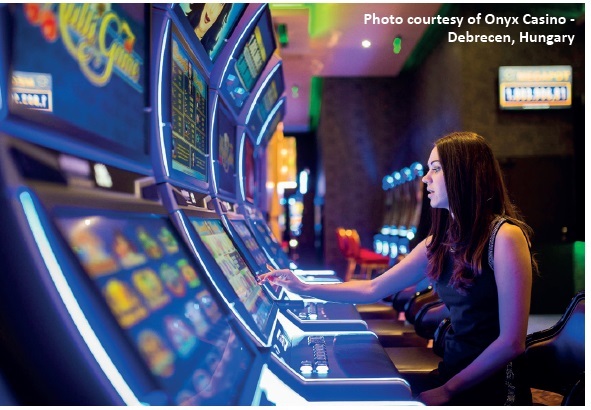 Recent years have seen the major manufacturers of slot machines and multiplayers either being acquired or merged, changing the world map of the gaming industry. What has been AMATIC Industries approach in these times to this phenomenon? Mergers and acquisitions are things that happen in all industries. You are right – the past years have seen big changes in our industry. One thing we should never forget is that we all earn our money thanks to the players enjoying their time on our gaming solutions. Player enjoyment has to remain the key. We believe we can best achieve this by remaining innovative and independent. We know our markets; we know our capacities. We are here for the long term. It is not seldom that our customers express their thanks that we stick to our philosophy of independence – the mergers and acquisitions have often resulted in less choice for the player. Choice is key and we are always happy when customers choose AMATIC! I’d like to conclude this interview by expressing our sincere thanks from the entire AMATIC team to our customers and partners around the world. We have celebrated 25 years in business this year. Our focus remains on the future. We are well placed with our land-based and online solutions and year-on-year we build upon and expand our MULTI GAME portfolio.